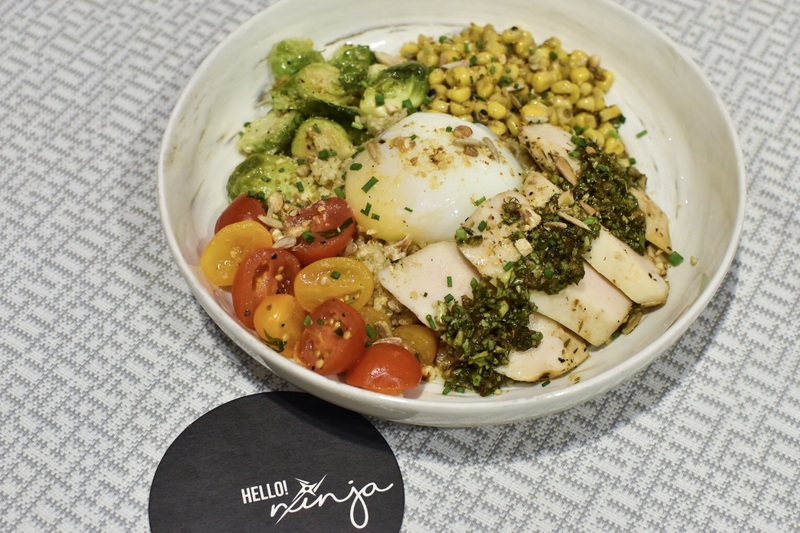 When I heard that the same people behind Ninja Bowl has a new concept along Seah Street, my first thought was… DAMN, I NEED TO GO. And so, I did. Nothing gets between Explodingbelly and her food. Of course, I did not regret that decision at all. While the concept may seem a little similar to Ninja bowl with their grain bowls and their super value for money menu (ALL NETT PRICES, BELOW $20), Ninja Cut sets itself apart from its sister branch with same same but different offerings focusing more on quality CUTS of protein such as that of roast ribeye, crackling pork belly, chicken, cod and even whole squid. 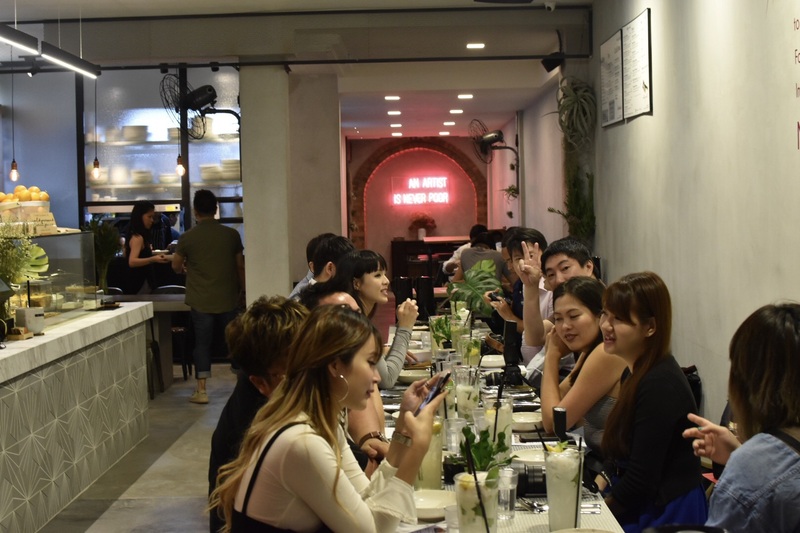 Of course, at a relatively convenient location just opposite Raffles Hotel! The Place It shouldn’t be too difficult to spot them at night, especially with the neon lights on its exterior. 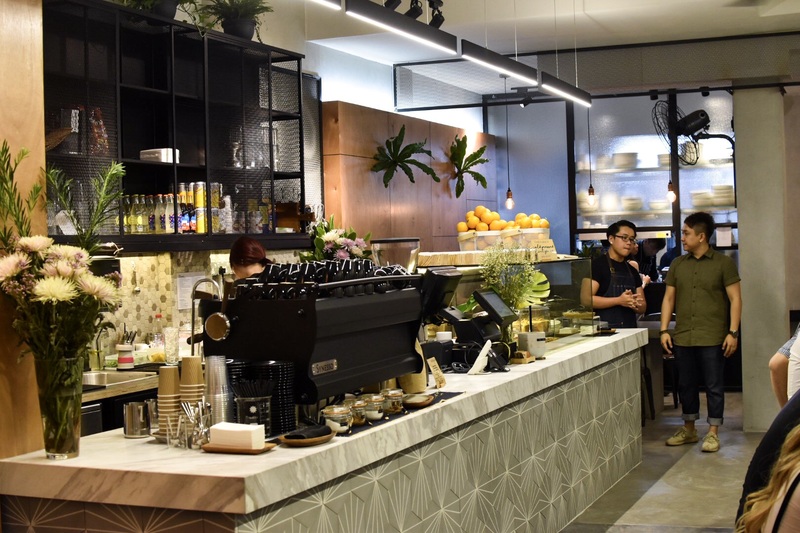 I liked how the entire space took on the industrial-like direction with marbled table tops for its counter – best place to take photos in my opinion. Besides, with the new location comes with MORE seating – Ninja Cut now sits up to 60 guests with even a communal table for up to 8 guests! 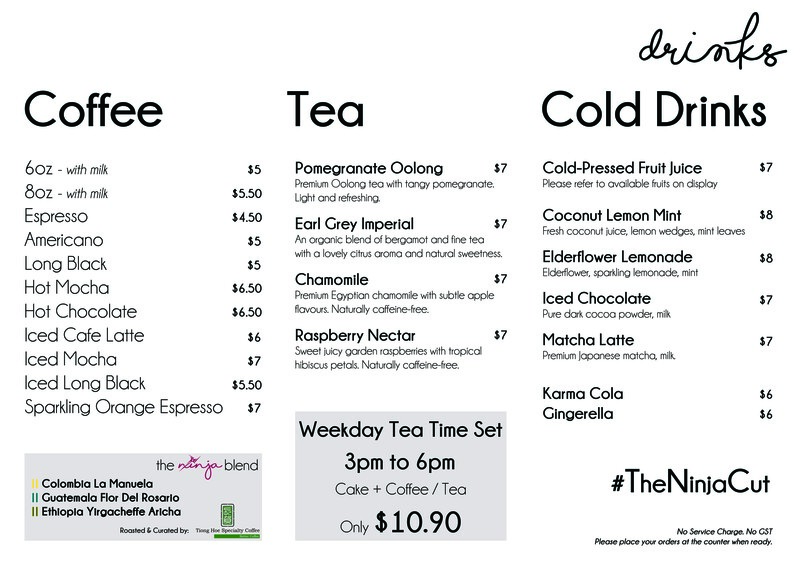 Judging from the current cafe prices sentiment, I dare say Ninja Cut has one of the most affordable menus in Singapore. With nothing exceeding more than $20, and at nett prices, it’s amazing how they are able to provide such wholesome and quality food. 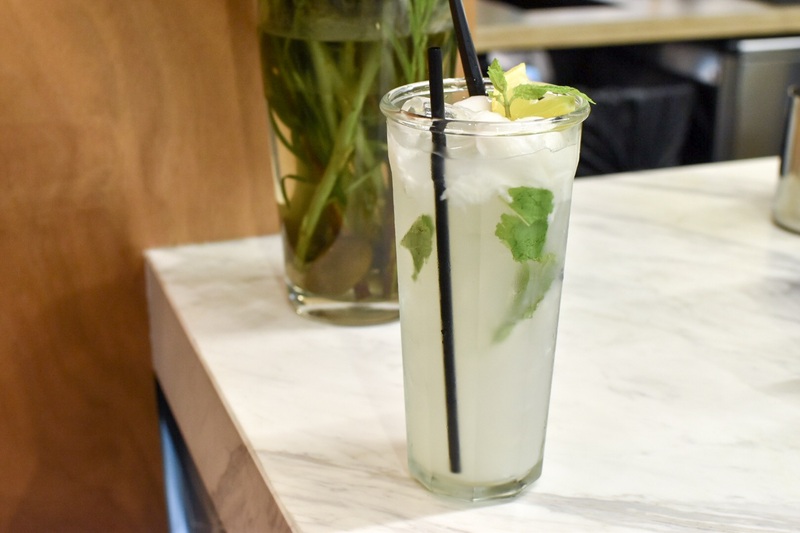 Super refreshing with the generous slices of juicy coconut flesh. I CANNOT. My to go drink everytime I’m there, and if you love coffee, they have a pretty decent blend as well – not as acidic as I liked it to be but not everyone likes their coffee super acidic so… HAHA! One of the best reasons why I love the ninja concept is the fact that they have carbless options as their default menu offerings, and if you are someone who needs your carbs, feel free to top up just $2 for a choice of their Ninja Rice – Vinegared Japanese pearl rice and brown rice with seaweed flakes; Soba Noodles or Garden Greens! Add $3 for quinoa for to hit your protein macros. This dish comes with an whooping 150g of roast cook to medium rare. The slab of Australian ribeye is marinated lightly such that you could taste the goodness of the entire beef slab. 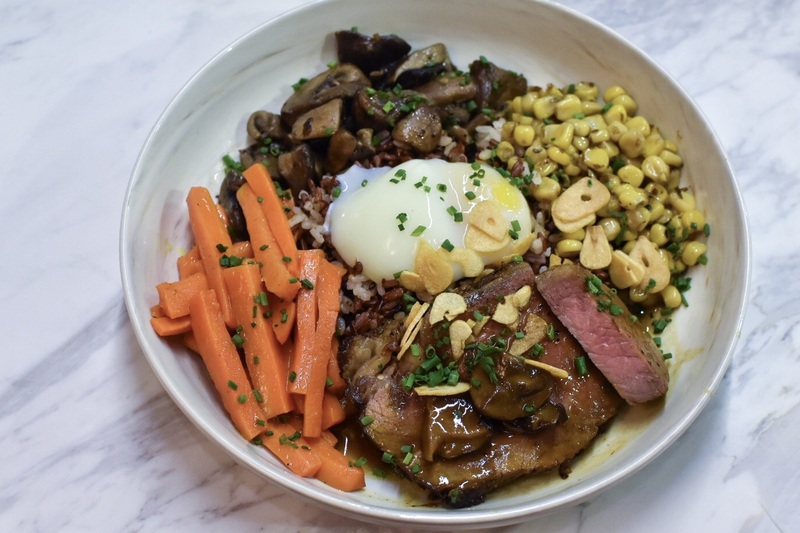 Coupled with grilled corn, SAUTEED MUSHROOMS, honey glazed carrots and an onsen egg, seriously, you can just have this one on its own. I couldnt stop putting those slices of beef in my mouth. GAHHHH I want more! At $18 nett, it’s as much quality as you can get as compared to other restaurants out there! Sous vide chicken breast with cajun spice rub and chimichurri sauce. This dish did not quite stand out for myself as we thought it was a little bland. While the chicken breast was tender, the entire flavor profile of this dish was lacking. However, I would think that this clean tasting bowl would appeal to the #fitspo #eatcleantraindirty people. I did not think much of this dish when it was first served to us because I’m not a huge fan of fish. However, the cod fillet was so fresh and yummy, I found myself reaching out for one forkfull after another. The white miso paste added to its sweet-savory profile, and this was best served with their soba. Oh my cod, really. Yet another stand out dish. Seriously, if I had to rank, this would be my favorite bowl of all. 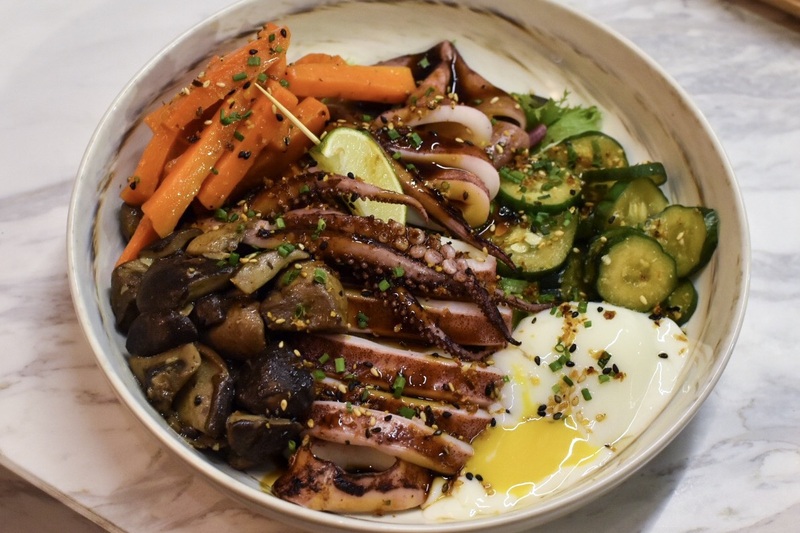 The simple Japanese whole squid brushed with their secret sauce was the right kind of chunky and bite – juicy, succulent and fresh, what added on to this awesome bowl was its sauteed mushrooms and the symphony of the honey glazed carrots and miso cucmbers. Sweet, savory, umami – all in one mouthful. 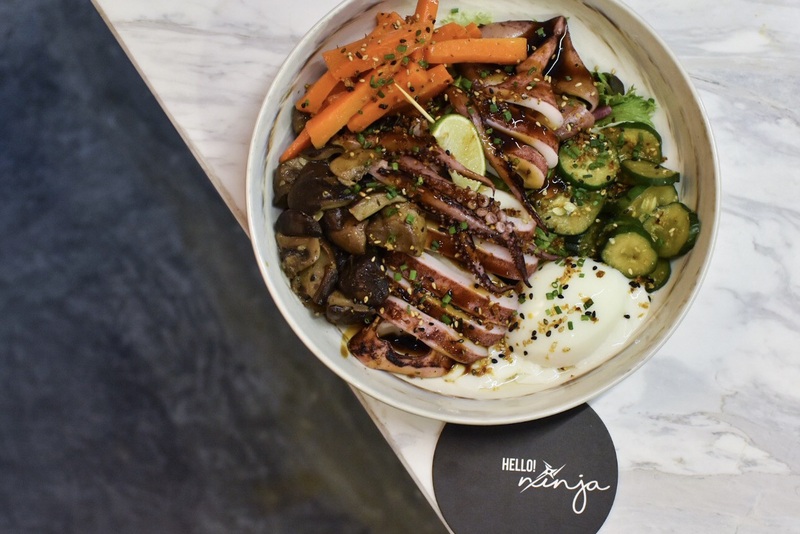 If there’s any doubt at all or you can’t decide what to get over at Ninja Cut, this squid fix will be the right fix for you. 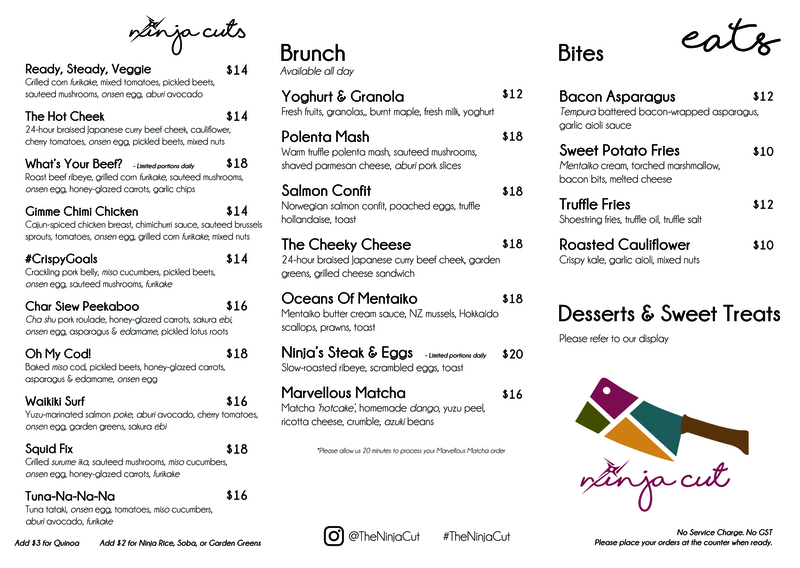 When Ninja Cut says brunch, they generally mean food fit for brunch, but these items are on the menu and available all day round. 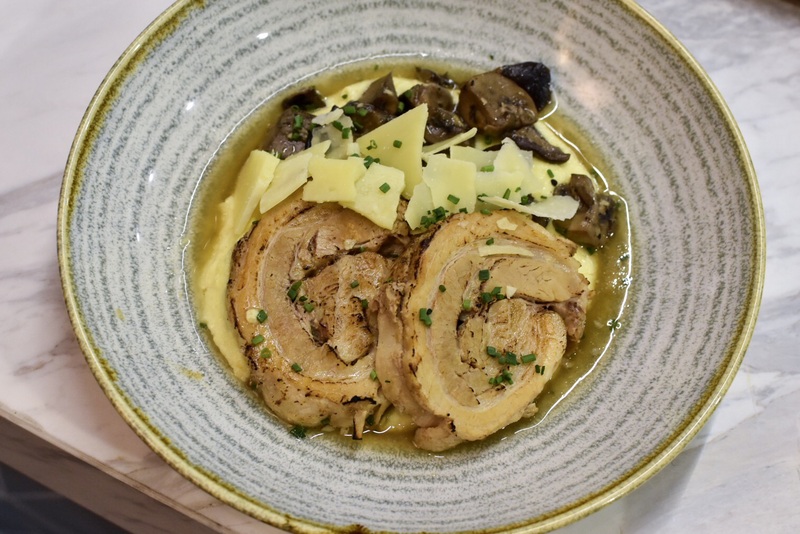 Homemade aburi chashu roulade sat atop of the warm truffle polenta mash and.. wait for it… Parmesan cheese shavings and sauteed mushrooms. EVERYTHING I LOVED on a plate.. bowl. While the truffle taste within the polenta can be slightly on a milder side, I didn’t mind it at all because that allows me to savour those huge chunks of aburi chashu. So super wholesome, perfect for rainy days. I heard waves of WOAHs and AHHHs when this dish was served and some of my dining companions have started on it. 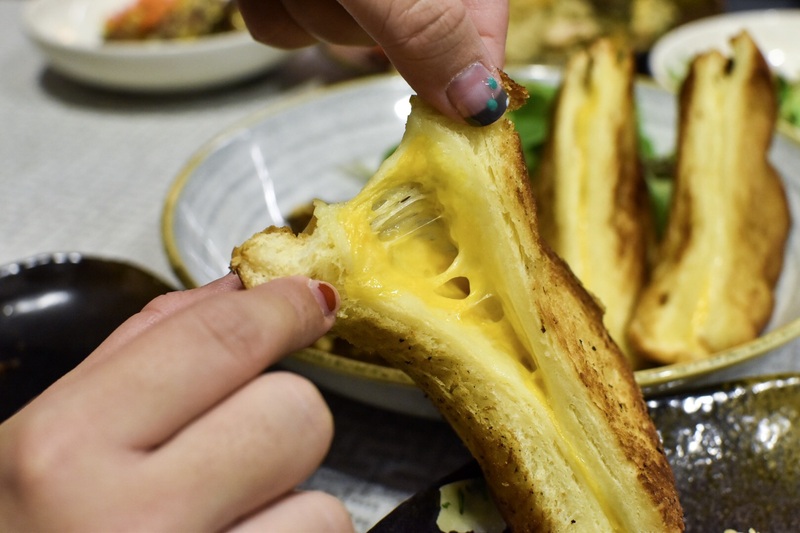 Curious, I took a bite off this sort of okay looking grilled cheese brioche sandwich to see what the fuss was all about. Guess who let out the biggest AHHHHHH of the night? Yours truly. It’s ridiculous how good this sandwich tasted. Crisp and slightly sweet brioche with the savory grilled cheese within. My vocab is too limited to describe how good this was. While I knew that this sandwich is probably gonna clog my arteries, my hand just couldnt stop stuffing this amazing sandwich into my mouth. Guys, seriously. Try this, if you don’t like it, drop me an email, this dish is on me. LOOK AT THAT CHEESE. 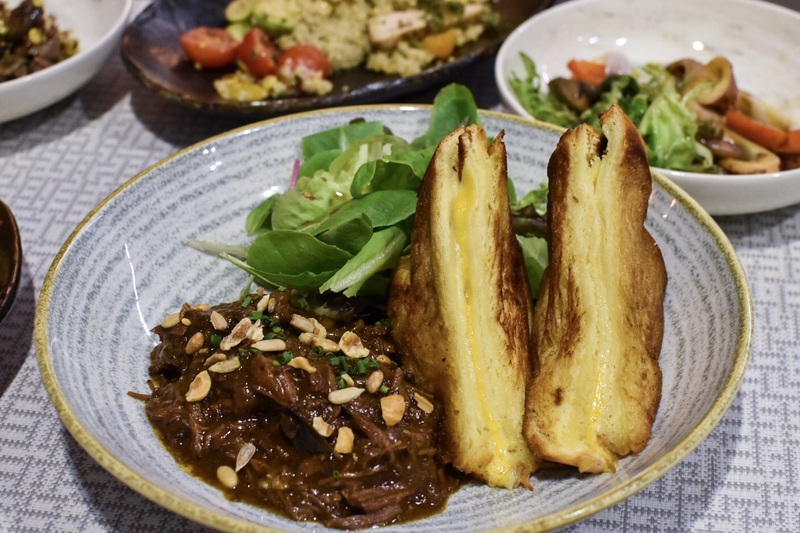 Ironically, i felt that it was a slight pity that the brioche tasted so good because I totally neglected the 24h braised beef cheek which is served on the side of this dish. Supposedly the star of this dish I suppose, it got outshone by its carby counterpart. Besides the gravy used was their very own Japanese curry rendition. I needed a little getting used to for the protein, BUT that sandwich. I’d pay $18 just for that sandwich. 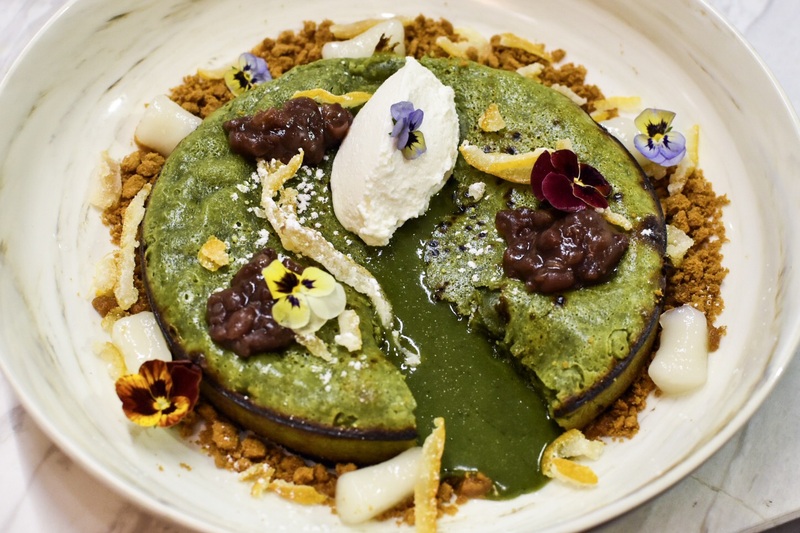 While this wasn’t explicitly stated as a dessert on its menu, it’s obviously a dessert. HAHA! 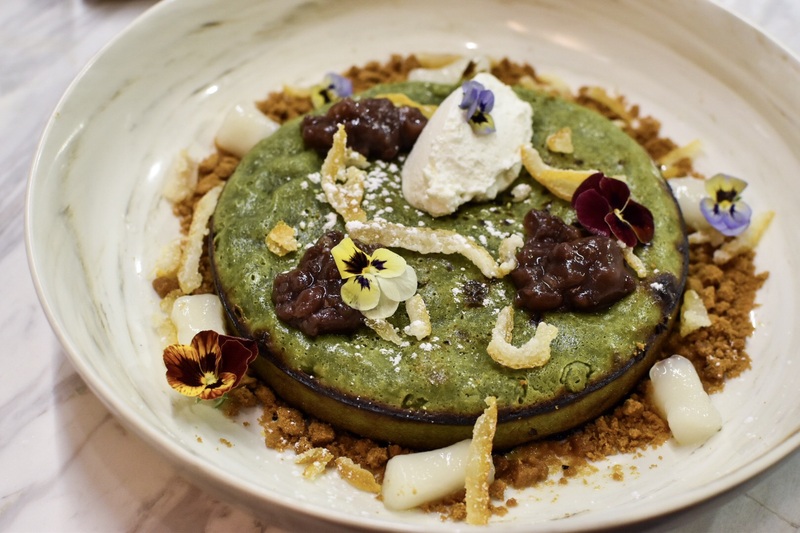 I bet you guys have seen 124912 pictures of this on Instagram but I still need to show it to you guys again, because it’s matcha. And it’s a LAVA hotcake. Lava? Really? This had a slight crispy yet chewy texture on its exterior, and yet habored a generous serving of green tea fondant within. It would have been great if the hotcake was topped with a dollop of ice cream instead of ricotta cheese, but I DON’T MIND AT ALL. The other counterparts included a chewy dango, speculoos crumbles and of course, pretentious flowers. HAHA! A super filling dish, please do not attempt to finish it all on your own. The Ninjas have got me, yet again. Just like my previous visit, I was mindblown by how everything was so well put together, it’s crazy. I also liked how much effort they put in to avoid serving similar dishes as their sister outlet! 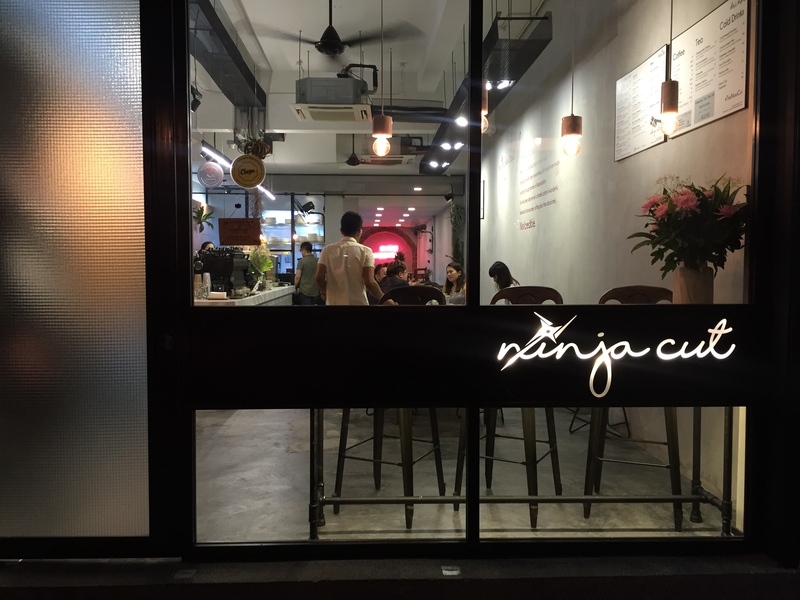 If there’s a best cafe of the year award, I would say Ninja cut has made its cut (HAHA) in my books. Thank you Darren, his wide and the team for your passion in delivering quality food to us! 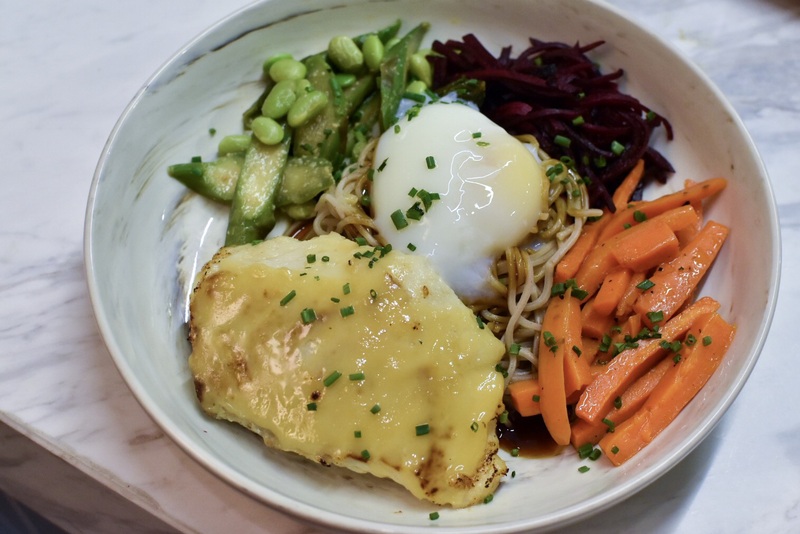 Meet and Melt brings toasts to another level – MENTAIKO LAVA TOAST and MORE.